Burlington Auto Works Offers Auto Repair Services You Can Count On! 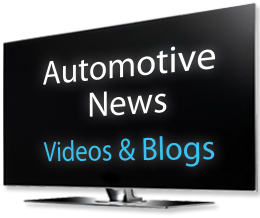 Burlington Auto Works is the automotive expert in Burlington, Ontario L7L 5T9. Since, 2004 we've provided the Burlington area with reliable, affordable automotive maintenance and repair services including A/C Service, Alignments, Batteries, Brakes, Computer Diagnostics, Domestic Cars & Trucks, Electrical Systems, Engine & Transmission, Engine Maintenance, Exhaust, Heating and Cooling Services, Import Cars & Trucks, Miscellaneous Services, MTO Safety Inspection, Oil, Lube, Filter, Suspension, Tires, Transmission Services and Tune-Ups. We have experience servicing all makes and models of domestic and import vehicles, and we're honored to keep vehicles throughout the Burlington area reliable and well-maintained. Our skillful mechanics will take great care of your vehicle too, quickly diagnosing any problems and offering cost-effective solutions to get you back on the road. Call Burlington Auto Works today at 905-332-9966! You can also send us an email. Either way, we're looking forward to providing you with reliable automotive service! First time using Burlington Auto Works and I thought Mark was great to deal with. He took the time to explain any issues and kept me well informed while work was being completed. I would definitely recommend BAW as your go-to for any car maintenance that you require. Thank you once again for the outstanding service Mark and Sheila. I'm very picky when it comes to service and you've hit it outta the park for me. I will recommend Burlington Auto Works to all I know. Mark earned my business by actually fixing my vehicle and not simply replacing parts. Sincere, honest service. Highly recommended. Impressed with the service and communications. Service was great in all the above. Thanks for caring and doing a good job. Recommended your shop to my son. Mark was extremely knowledgeable and friendly. He took the time to explain exactly what was going on and was very determined to only do what was necessary to save me some huge dollars over what the dealer would have charged me. Your shop is top notch! Excellent service every time. Wouldn't take my car anywhere else. Always a pleasure. I appreciated the detailed explanations and the extra feedback. Mark graciously agreed to take my car at the very last minute and fit me in to put my snows on. I was so impressed with the service and very much appreciated the kindness and professionalism! 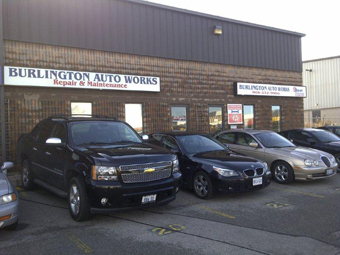 I have always been very happy with the service I have received at Burlington Auto Works. It has a very family-friendly atmosphere and being from a small town (Whitby) this is very important to me. You got my old vehicle purring again. Now I don't have to look at getting a new vehicle! Mark was quite accommodating with our tight schedule. It's refreshing to know there are still people in business with old school values and deliver what they promise with honor and professionalism. I am relieved to have found your company to service my vehicle. As I age it is important that I can trust that my vehicle is safe to drive and that my vehicle is well maintained. Thank you for your excellent and honest service. Absolutely pleased and it was all done on short notice on Friday!! I have already recommended your shop to others. Earning my living on the road and needing my car every day I sincerely appreciate the effort Mark takes to keep me on the road! Mark and Sheila work hard to create a welcoming and trustworthy place to bring our cars. Having been a customer for almost all of the past 10 years I can say this is the best place to bring your vehicle for anything from basic to serious. Thanks guys! I have been a customer of Burlington Auto Works for over 6 years. Whether my visit was for a scheduled maintenance/repair or dropping by to investigate a warning light, I have always been greeted as a valued customer. Mark and his team use their expertise to point out potential problems that need attention before they become a driving hazard. I am very pleased with the services that I have received and would high recommend Burlington Auto Works. We have been trusting our vehicles to Mark since we moved to Burlington over 7 years ago, and have found the service to consistently be friendly, prompt and high quality. This shop is probably the one reason we don't mind owning an older vehicle! Finally found a place in Burlington that I can trust to have my 2010 Journey serviced! Thanks Mark for taking the time to explain in detail the problems with my vehicle and making recommendations on what I had to fix now and what can wait until my next service, instead of trying to get me to fix everything now! I sincerely appreciate you putting 2 mechanics on the car to ensure I got it back Friday night so I would have it for the weekend. As I drove to my meeting Friday night I could feel the difference - the engine was running like it was new again!